Gift cards are a big business. It’s estimated that customers spend over $46 billion on gift cards in 2016, and the gift card market is slated to grow at a rapid 6% CAGR, continuing to grow in size and scale for the years to come. Electronic and digital gift cards are one of the newest innovations driving the growth of the gift card market. While physical gift card sales are relatively slack, “e-gift” cards are growing at an annual rate of nearly 200%. Despite the growing popularity of e-gift cards and digital gift cards, though, physical gift cards remain king. There’s still something awesome about opening up a physical gift card – looking at the design, feeling the weight and the heft of the card, and being able to keep it in your wallet. It’s no wonder that retailers still sell gift cards like hotcakes! But there’s one big problem with traditional, physical gift cards. They’re wasteful. The traditional material for gift cards is PVC – Polyvinyl chloride – one of the most widely-used plastics in the world. This material, while lightweight and inexpensive, is terrible for the environment, and will never biodegrade. This is a huge issue, because the vast majority of gift cards end up in landfills – despite being recyclable. These gift cards will never truly biodegrade, and the breakdown of PVC can release toxic chemicals into the soil, and the atmosphere. In addition, PVC has a tendency to “granulate” in landfills and other areas. It doesn’t truly break down, but simply is crushed into smaller and smaller bits, which can become stuck in the soil, lodged in the throats of animals, and have many other negative effects. This has some more eco-conscious companies looking for “green”, eco-friendly alternatives to PVC. Over the last several years, numerous alternatives to traditional PVC gift cards have emerged – each with their own unique sets of advantages and drawbacks. In this article, we’ll take a deep look at all of these gift cards, in order to give you an inside perspective on the world of eco-friendly gift cards. We’ll also take a look at the companies who sell gift cards that are environmentally friendly, and the products that they manufacture. What Is An Eco Friendly Gift Card? There are many definitions of “eco-friendly” – but for our purposes, an eco-friendly gift card is any card that isn’t manufactured with traditional PVC techniques, and offers some kind of biodegradability, or is made of recycled materials. Dozens of companies have begun manufacturing “eco-friendly” cards – not just for gift cards, but also for other card applications such as hotel keys, driver’s licenses, library cards, and more. Let’s take a look at some of the most popular alternatives to PVC gift cards now. Coated paper – Paper isn’t usually used as an alternative to PVC gift cards, because it’s generally quite flimsy, and unable to take the abuse that a gift card usually receives in a purse or wallet. However, coated paper offers an alternative. These paper-based cards use a specialized plastic coating to provide durability and an attractive shine, and they’re usually manufactured from thick cardstock, providing a nearly plastic-like look and feel. The main advantage of these cards is that they’re quite inexpensive – cardstock and plastic coatings are very affordable, and companies that sell gift cards on coated paper often offer quite comparable prices to traditional PVC gift cards. The primary disadvantage is that, depending on the type of plastic used to coat these cards, they may not biodegrade entirely. If a non-biodegradable plastic coating is used, the paper will biodegrade, but the plastic will not. However, this can be dealt with by using an alternative plastic coating that is biodegradable – though costs will increase, accordingly. Alternative plastics – Though petroleum-based plastics are, by far, the most common, recent years have seen quite a bit of innovation in the world of alternative plastics, or “Bioplastics”. These products use advanced manufacturing techniques to turn things like corn, vegetable oils, and starch into plastics. And while these bioplastics require quite a bit of energy and advanced manufacturing expertise to create, many of them are biodegradable, and will be able to break down in landfills over time, providing a great alternative to traditional plastics. The primary advantage of alternative plastics is that they’re nearly indistinguishable from PVC and other traditional plastics. Retailers can sell gift cards to customers and be eco-friendly, and there will be no major change in how the cards look and feel – but they will still be environmentally friendly. The primary drawback of these bioplastics is their cost. Companies that sell gift cards made of bioplastics tend to charge around 2-3x the cost of a PVC-based card, making their costs a bit high for smaller retailers. Wood pulp – Wood-based gift cards are created out of wood pulp, just like paper. Most wood-based gift cards are built around a core of solid wood, and then have cellulose and wood pulp deposited around this core, creating a heavyweight, high-quality feel. Wood gift cards can bend just like plastic, and can even use embedded magnetic stripes. If desired, most wood pulp gift cards can also be laminated with a high-quality bioplastic to allow for a more smooth look and feel. The primary advantage of these cards is their low biological impact. All-wood cards can be composted and will biodegrade naturally, and gift cards that are made with bioplastics and magnetic strips boast a very low environmental footprint, and will break down entirely over time. The primary drawback, again, is cost. A PVC-based gift card usually costs around 7 cents for a large order, while a wood-based card can cost somewhere between 10-15 cents per card. That may not sound like much, but the costs do add up for larger orders. Recycled PVC – While recycled PVC is not as environmentally friendly as the above choices, it’s still a fantastic way to maximize eco-friendliness while minimizing cost. Recycled PVC cards are exactly what they sound like – gift cards that have been created from 100% post-consumer recycled PVC. This PVC can be sourced from plastic bags, used piping, recycled gift cards, and dozens of other PVC-based items. Recycled PVC cards offer a great way for companies to sell gift cards that are environmentally friendly, while still maintaining the look, feel, and cost of a traditional PVC-based gift card. Of course, the inherent drawback is obvious. Unless 100% of your consumers recycle after you sell gift cards to them, your gift cards are still going to end up in the landfill, where they will never biodegrade. 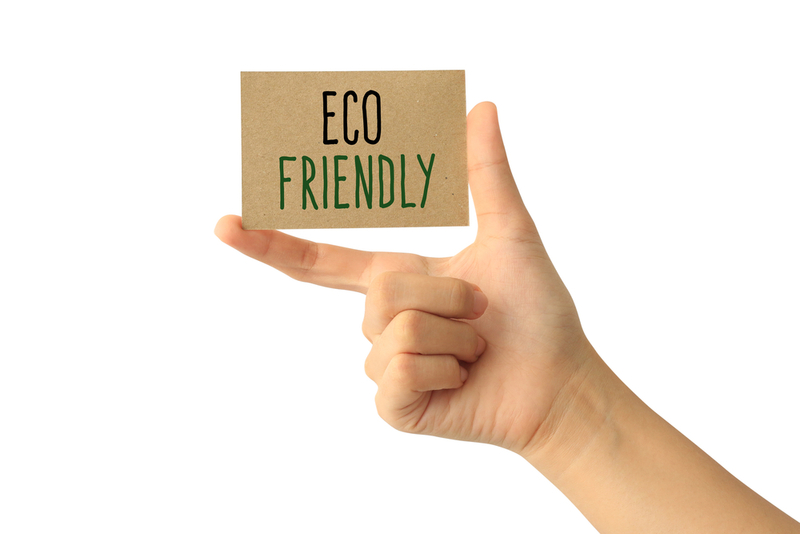 These are the primary types of eco-friendly gift cards out there, and each one offers a variety of advantages and disadvantages for retailers. Most retailers aren’t going to make the switch to eco-friendly gift cards simply from the kindness of their heart. However, despite the higher overall cost of eco-friendly gift cards, there are a variety of ways that retailers can benefit from selling gift cards that are environmentally friendly. Appeal to eco-conscious consumers – Although it’s estimated that only 1-5% of shoppers define themselves as “eco-conscious”, appealing to eco-conscious consumers can be a powerful way to increase the reach of your store. Growing consumer awareness of the products they buy, efforts from nonprofits and environmental organizations, and other factors make this upcoming upcoming generation of Millennials more eco-conscious than ever – and they’re willing to put their money where their mouth is. Builds brand identity – Offering eco-conscious gift cards is a great way to help build your brand identity. Upscale retailers like Whole Foods have switched to paper-based, plasticless gift cards in an effort to build their brand identity as an eco-conscious retailer. Implementing a smart, eco-conscious gift card program can help you sell gift cards more effectively, and build up your brand as environmentally conscious – that’s a win-win! Better for the environment – This one is kind of obvious, but it’s true! Beyond the business benefits of sustainable gift cards, you can benefit by knowing that you’re helping to preserve our natural world, and take better care of our environment. Can provide a PR boost – If you run a small business and you’re the retailer or store in the area to sell gift cards that are made of environmentally friendly materials, you’re sure to build up some buzz in the area. 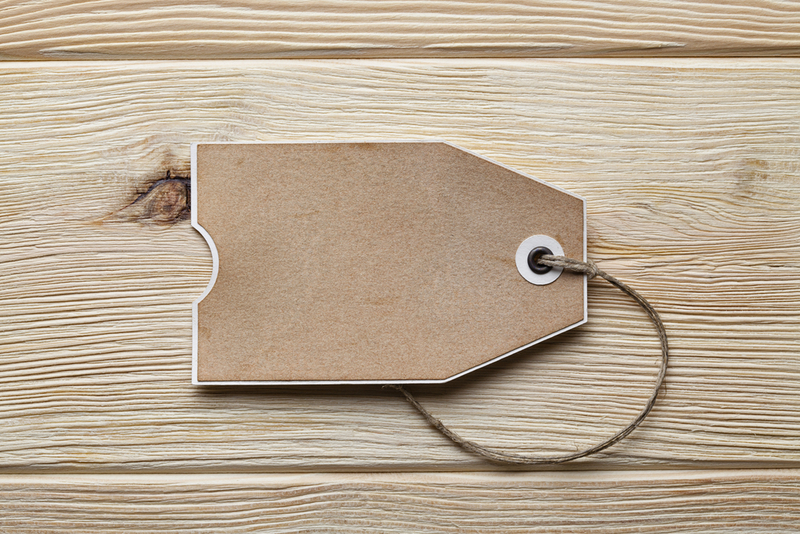 Whether it’s from some free word-of-mouth marketing, or a local news story about your business, using environmentally-friendly gift cards is a great way to help give your store a free PR boost! Now that you know about the basic kinds of environmentally sustainable gift cards – and what benefits they can have for your company – it’s time to take a look at the top 5 manufacturers who are creating environmentally sustainable gift cards. In recent years, quite a few startups have begun offering plastic-alternative, sustainable gift cards. If you’re interested in sustainable gift cards, check out one of the 5 companies below. Sustainable Cards – Sustainable Cards is probably the most well-known manufacturer of alternative gift cards. Based in Sweden, this company focuses on creating high-quality, durable, wood-based gift cards, hotel cards, and more. They supply Whole Foods with the majority of their gift cards, and have partnered with dozens of other retailers to offer a more eco-friendly alternative to plastic gift cards. Plastic Resource – If variety is what you’re looking for, Plastic Resource is a great choice. This company offers recycled PVC, wood, and paper-based gift cards, so you’ll have plenty of options to choose from. They can also help you design your gift cards, and offer small-batch services. Unlike some other manufacturers on this list, you don’t have to order thousands of cards at once. Earthworks – Earthworks provides 100% post-consumer recycled PVC gift cards. In addition, Earthworks provides free PVC recycling services. If your store tends to throw out a lot of gift cards, you can collect them and send them into Earthworks, where they’ll be recycled into brand-new cards, and kept out of landfills. Botanical Paperworks – Botanical Paperworks is slightly different from the other manufacturers on our list. They don’t manufacture gift cards at all – but they do offer specialized paper-based gift card holders that contain a variety of plantable seeds. These gift card holders are fantastic products for anyone who sells eco-friendly gift cards. Pairing an eco-friendly gift card with a plantable gift card holder is a great way to “double down” on your eco friendly image! World Media Group – World Media Group, based in Texas, offers a wide variety of custom gift card solutions. You can choose between paper cards, seeded paper cards, PLA corn-based gift cards, recycled PVC cards, and more! Each card is customizable and can be adjusted to the needs of your business. Interested in buying some eco-friendly gift cards? Get in touch with one of these companies, and take the first step to becoming more environmentally friendly! Gift cards aren’t just wasted when they’re thrown into landfills – they’re also wasted when their value sits around and isn’t used! If you have gift cards that you don’t want or need, don’t let them sit around in your junk drawer or your wallet collecting dust. Sell them now, with EJ Gift Cards! EJ Gift Cards buys hundreds of gift cards at competitive rates, and we issue all of our payment through PayPal, so you can be sure that your payment will be safe when you sell with us! Our step-by-step selling process makes it incredibly easy to sell your gift cards, and our customer service team is always ready to answer any questions you might have about your gift card! So don’t waste your gift cards. Sell them for cash with EJ Gift Cards today!